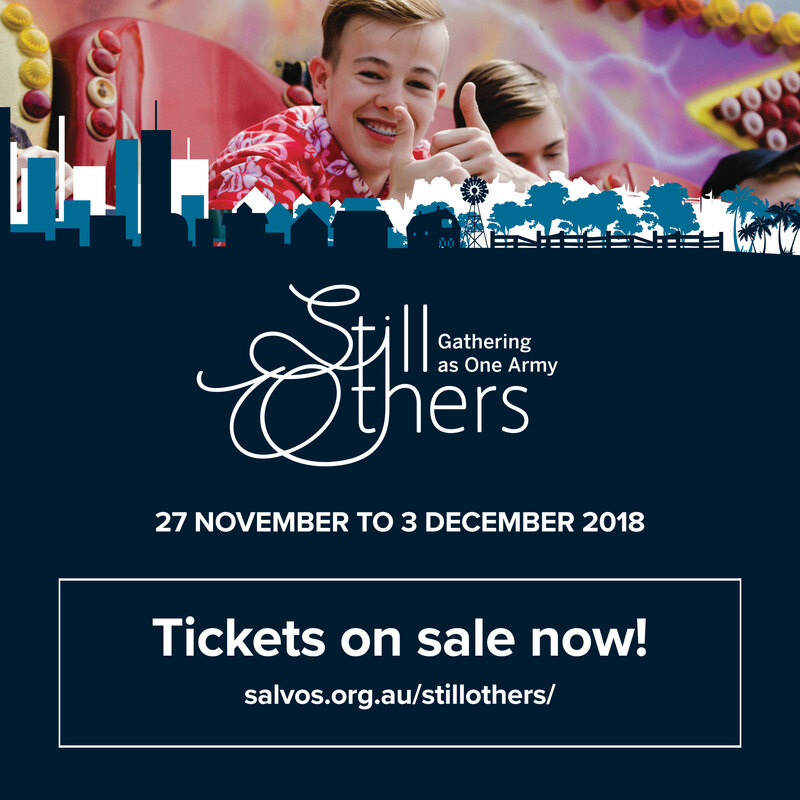 Tickets for Still Others, the historic launch of the new Salvation Army Australia Territory to be held in Melbourne, have gone on sale today. The week-long event is being held at Melbourne’s Convention and Exhibition Centre from 27 November to 3 December. Newly appointed world leaders, General Brian Peddle and Commissioner Rosalie Peddle, will officiate at the Celebrating As One event on Friday 30 November, which will showcase the Australia Territory’s national vision and strategy as well as feature a variety of performers from across Australia, honouring the unique work of the Army through music, drama and dance. Other events during the Still Others week will include the “Our Christmas Gift”concerts on Saturday 1 December and the 2018 National Commissioning of the Messengers of Compassion and Messengers of the Gospel on Sunday 2 December. For information or to book tickets go HERE.